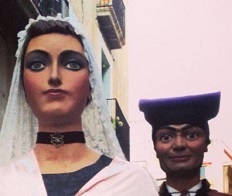 If there is a time to come to Barcelona, it will be with La Mercè. A yearly event from the 22nd till the 25th of September that you simply cannot miss! 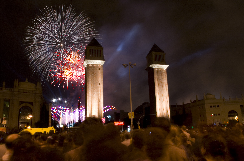 La Mercè is Barcelona’s largest street party that first took place in 1902. The festival bids goodbye to the summer with a bang and welcomes the cooler months of autumn. Many highlights during this week will be featured somewhere in the city. 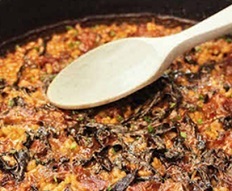 This festival will show you the history and traditions of Cataluña’s culture. It is a festival for all age groups, young and old. 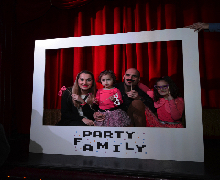 Perfect for families to show the kids history and traditions, as well as creating unforgettable memories. We wish you a lovely stay at our familial aparthotel in Barcelona. La Puntual is a puppet theater located in the neighbourhood of La Ribera de Barcelona, inaugurated in 2005 by Eugenio Navarro. It is important to recognize the effort that the founder has put into this amazing concept, showing people the work of great artists who would otherwise be left in the shadow and only been seen in specialized festivals. We wish you a lovely stay at our lovely hotel for family in Barcelona! 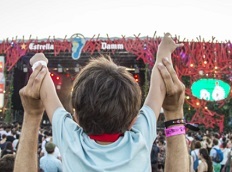 The Cruïlla Barcelona is an electronic music festival, celebrated from 10 to 12 July, combining pop, rock, soul, hip-hop, world music and mestizas. Concerts lasts longer than standard festivals (between 75 and 90 minutes compared to 45 minutes of most events). The Cruïlla Festival offers a comfortable and quality experience to its audience. We wish you a lovely stay at our hotel for family in Barcelona! The legendary origin of this traditional festival, declared National Interest, dates back to the early Middle Ages during a Saracen invasion. 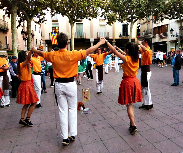 There are parades and dances, a set of four dances called the Ball Pla, Matadegolla, Contrapàs and Sardana Curta. The perfect entertainment for the whole family. We wish you a lovely stay at our hotel for family in Vilanova y la Geltrú! 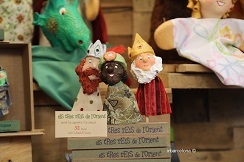 One more year, the Festival of Children arrives in Barcelona, dedicated to the children for more than fifty years. 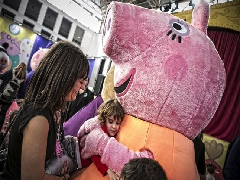 As a novelty, this year, in addition to the many activities in the different stands, the festival offers us the worlds of Peppa Pig and Ben and Holly exclusively. You may know the British cartoon character that caused a fury among your little ones and became very popular on the YouTube channel. 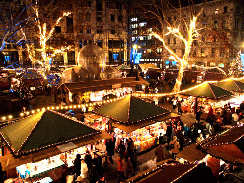 If you’re planning a visit to Barcelona around New Year, then our hotel for family in Barcelona is the perfect choice! Corpus Christi has been one of the biggest and most important annual events in Barcelona for centuries and this year will be no different! In honour of the holy communion, this religious festival is celebrated primarily with lively processions and traditional dances which are truly spectacular to see. We wish you a lovely stay at our hotel for family in Barcelona! Flamenco is a dance that is traditional to the southern area of Spain called Andalusia. It is an art form that includes singing, the guitar, handclapping, finger snapping, vocalizations as well as dancing. Throughout Barcelona, there are many theatres that specialize in this dance and have shows twice a night. There are even schools and classes to learn this art form. We wish you a lovely stay at our familial hotel in Barcleona.